If you want to have fun behind the wheel but you’re on a budget, then we’ve got some good news: you don’t have to win the lottery to afford one of these sporty numbers. Each of our top 10 can be bought for the cost of a brand new city car and will put a smile on your face every time you go out for a drive. Everything here can be had for less than £10,000 and comes with lots of driving enjoyment included. Find out here here how to finance your purchase and the free valuation tool can help you get the best price for your old car. 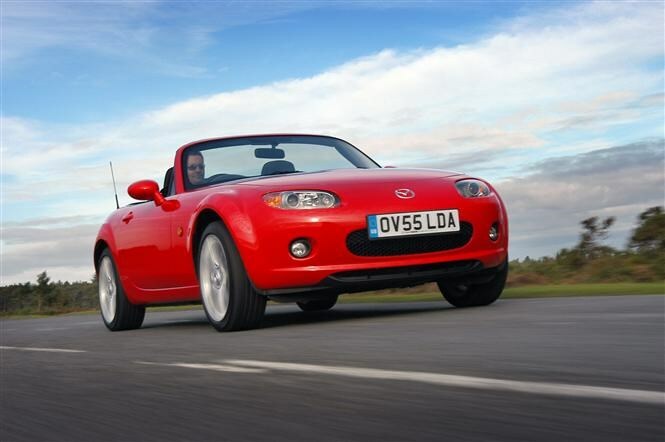 Pick any generation of MX-5 and you’re on to a winner: Mazda really has sewn up the affordable sports car thing, ever since the Mk1 burst onto the scene in 1990, tasked with reinventing the British roadster for the modern age. Our £10k budget won’t quite stretch to the newest model that went on sale in 2015, but it will pocket a previous generation Mk3 roadster. Soft-tops are the most plentiful, but if you live in the city and want superior theft protection or just fancy a coupe-convertible, the folding hard-top is worthy of consideration. All MX-5s are a fun drive; pick from a 1.8 or 2.0-litre engine for more poke. Special editions proliferate, but spec differences are marginal – this is at heart a minimalist, fun-focused sports car. Proof that fun can come in small packages – and one derived from a humble supermini. The Swift Sport is a bit like My First Warm Hatch. It’s not about outright speed, cornering on rails or showing off with an outrageously bespoilered bodykit. It’s about ‘just enough’ of everything. While performance is sprightly with its 1.6-litre petrol engine, it’s more about the manner in which it goes about its business. You can thrash this starter pocket rocket to within an inch of its life and not risk ending up behind bars, and we love it for that. 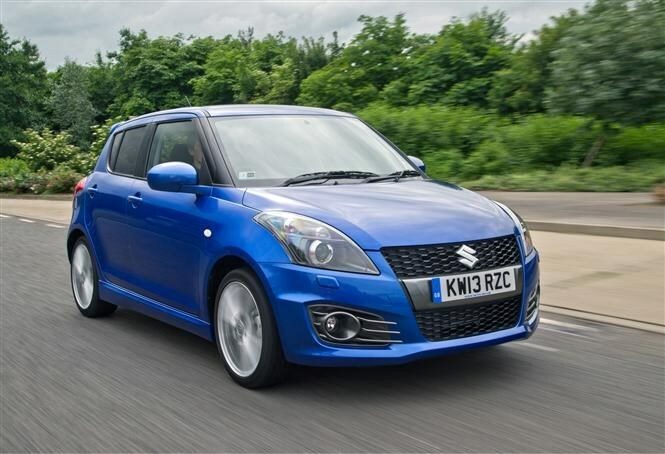 Handling is fun and perky, and being a Suzuki it’s well built and has a proven reliability record. It’s even quite practical, with a proper rear bench seat and a boot that’ll shame a MINI Hatch’s. And that styling lends it an underdog, Q-car aesthetic. There’s lots to like here, and prices are keen, new or used. 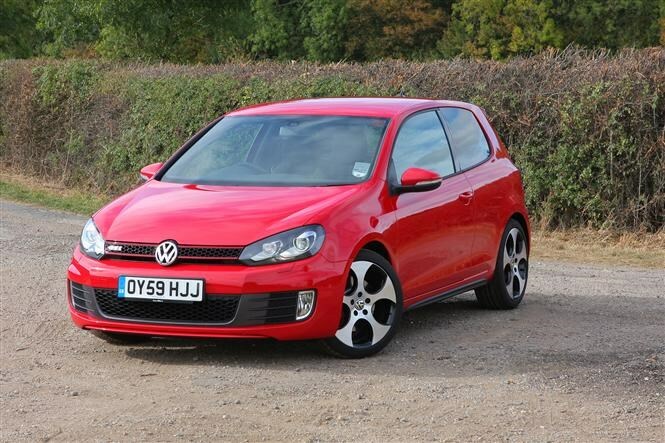 Say hot hatch and you can’t help but think of the Golf GTI. The car that immortalised those three letters to legions of go-faster fans has been on form for the past decade, since 2005’s Mk5 corrected the wrongs of earlier iterations in the Nineties and Noughties. For £10k you’ll pick up an early 2009/70,000-mile Mk6 at an independent dealer complete with 207hp 2.0-litre turbo, a finely fettled chassis and one of the most polished designs – inside and out – that you’ll find anywhere at this price point. Golfs hold their value well, so it should remain a wise investment and you’ll love driving it; the GTI’s duality of purpose is one of its abiding qualities. One minute it’s a back-road blaster, the next it’s chuntering along on the school run with nary a complaint. A consummate all-rounder. 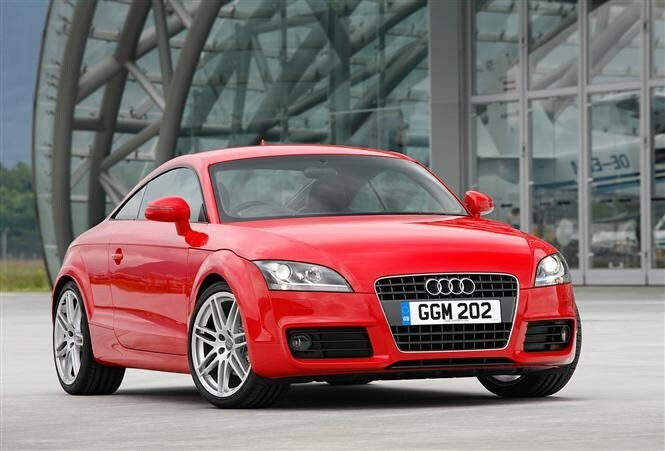 The Audi TT is a firm favourite of ours at Parkers, democratising the sports car with a model for all types of buyers – from high-mileage diesel drivers to all-wheel drive performance freaks. Settle on the right combination of drivetrain, bodystyle and engine, and this could be all the sports car you’ll ever need. The TT has a reputation for an exquisite cabin, sharp design and a rewarding drive. Available in coupe and roadster forms, our budget here will snag a very respectable Mk2 model, whose values have been made more attractive now that the newer Mk3 model is on the scene. 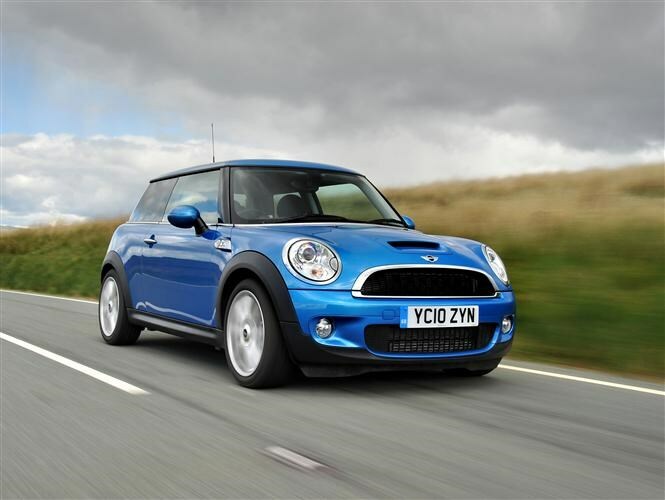 The MINI has fun driving dynamics at the heart of its appeal and nowhere is this better expressed than in the fastest turbocharged iteration. Our £10k budget will secure a very tidy Mk2 Hatch Cooper S and it is a genuinely exciting choice. Performance is plenty fast enough, with 0-60mph in around seven seconds and you’ll enjoy stoking the gearlever around the six-speed manual transmission. Just make sure you can fit your life into the cramped interior and boot. Cons: Stretching our definition of sports car! Proof that you can have sporting fun in surprising packages, the Octavia has a long-established reputation for serving up discreet devilishness in its vRS performance hotshots. Sporting a turbocharged 2.0-litre four-cylinder driving the front wheels, the go-faster Octavia has an eye-popping turn of speed and you can mate its 197hp antics with a manual or twin-clutch DSG transmission. The best bit is the space on offer, long a Skoda ace card. The hatchback is huge, the estate an echoingly capacious lugger of loads. This is go-faster practicality at its finest and prices are very reasonable. 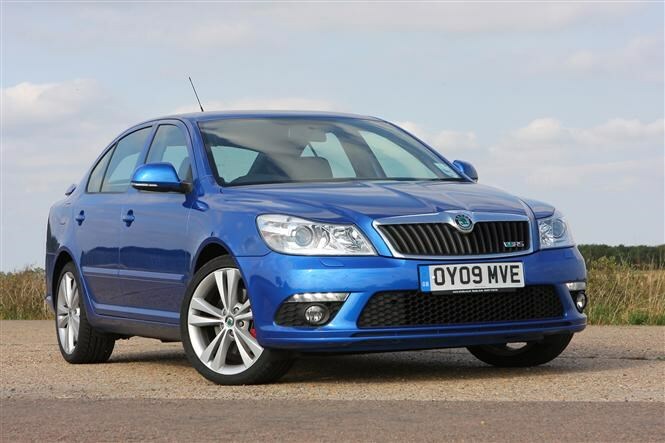 You can even spec your vRS as a 170hp diesel, with only marginally slower results. A proper sports car that’ll make the default choice MX-5 listed above seem quite tame. 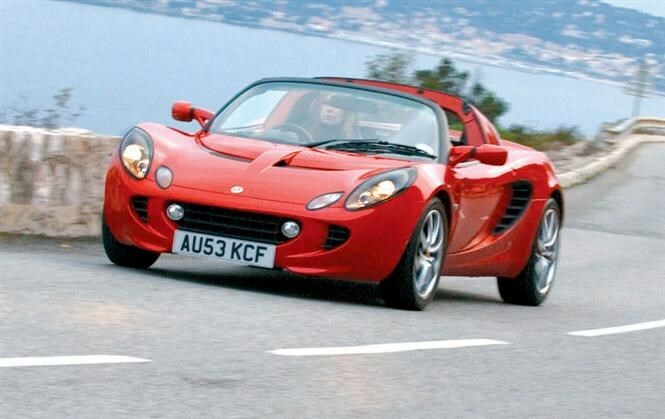 The Norfolk-built VX220 was the fruit of a tie-up with Lotus and it shared much of its aluminium architecture with the Elise – but Vauxhall added a dose of charm, not to mention its 2.0-litre turbo engine for explosive pace. Early models only came with a naturally aspirated 2.2-litre but our £10k budget should snag a late 2006 model turbo at an independent specialist. 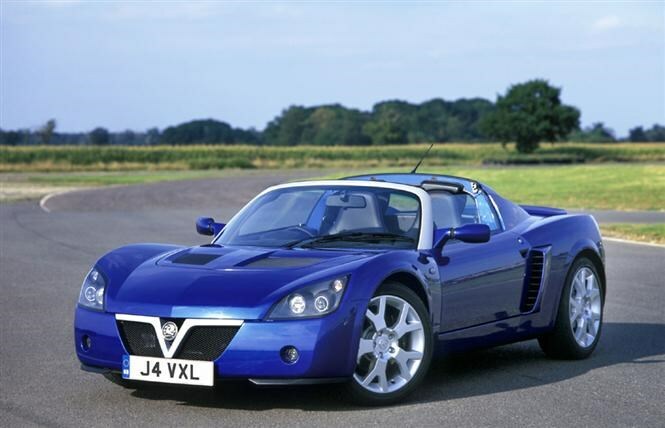 You may have to shop around as the VX220 was a rare car. Find a good one, and it’ll be a real keeper. Another hot hatch to consider is the leftfield Italian take on the genre, transforming the cutesy Fiat 500 into an altogether more serious pocket rocket. 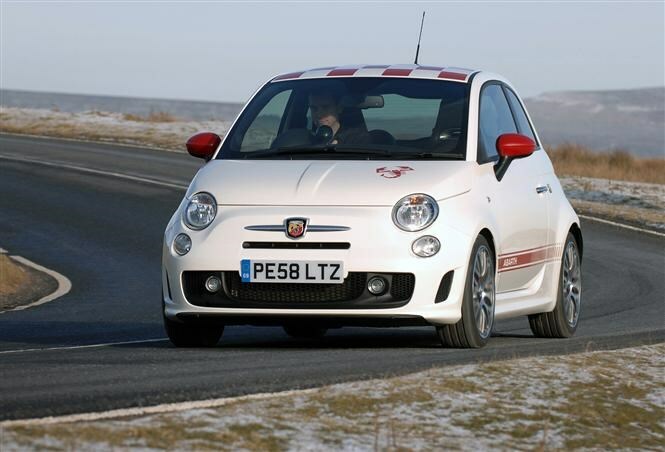 Various states of tune are available, depending on your craving for power, but we’d advise checking the ride quality before committing – many Abarths are more jittery than a coffee addict before the morning cappuccino. Your £10,000 can go a very long way if you shop around carefully. Full-blown sports cars of the finest pedigree can be had, including the wonderful Elise with its pop-out canvas roof. A paragon of Lotus lightweighting, this two-seater roadster has the most communicative steering of any car in this list, handling to shame many supercars and a ‘joie de vivre’ that will put a smile on your face every time you drive it. Find a good one, and you’ll be laughing. Our current reigning hot hatch champ is an absolute blast and nothing has been able to dislodge it in the four years it’s been on sale. It’s proof that Ford’s go-faster team still knows how to turn mundane hatchbacks into very special performance models. 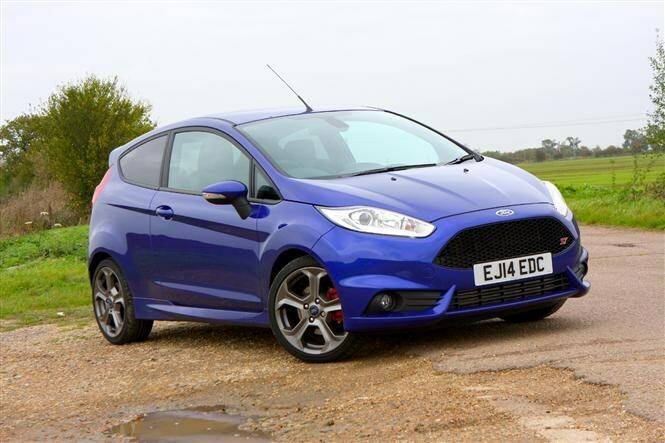 The ST marries a 1.6-litre EcoBoost turbo engine with a front-wheel drive chassis blessed with electronic wizardry to make corner-carving a pleasure without ruining the ride – and the styling is spot-on, with enough bluster to get noticed without going all chavvy on us. They’re in reasonable supply and our £10k budget will bag a 2012/62-reg early car at a main franchised dealer with around 40,000 miles on the odometer. We’d heartily recommend this. There's no point in bagging a bargain fun car, only to find you can’t afford the annual premium for cover. Sporty cars often come with a higher insurance grouping, so make sure you ask your policy provider for a quote in advance before you commit to anything. Some sports cars have suffered a tough life – boy racers may have given the car you’re looking at a hard ride. So be sure to check for signs of abuse and damage.Has the car you’re looking at been properly cared for? Has annual maintenance been carried out on time? Are the tyres shot? Sports cars can be particularly sensitive to spec decisions. Use this to your advantage: either get the exact car you want, or if you spot a used example with the less desirable paint choice or alloy wheels, aim to negotiate a healthy discount up front. Sounds obvious, but some of the sporting cars we list on these pages will be much less practical than a family hatchback. Think through your likely pattern of usage: will you need rear seats? Is the boot of your low-slung coupe really big enough for the children's buggies?